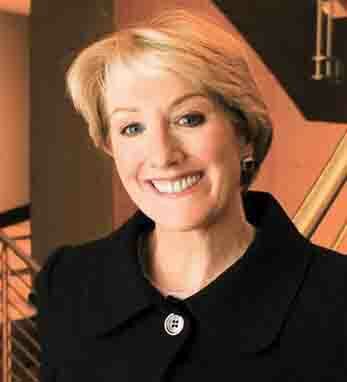 Anne M. Mulcahy is chairman of the board and chief executive officer of Xerox Corporation. It is the culmination of a 30-year career with the corporation, providing high-value technologies, products and solutions, document systems and services to business managers worldwide. Anne joined the company in 1976 as a sales representative and held various sales and senior management positions. Named Vice President for Human Resources in 1992, Senior Vice President in 1998 and Executive Vice President in 1999, in 2000 she was elected President and COO. Finally in August 2001 she was named CEO of Xerox and chairman on Jan 1, 2002. In addition to the Xerox board, Anne is a member of the boards of directors of Catalyst, Citigroup Inc., Fuji Xerox Company, Ltd.. and Target Corporation, and is a member of The Business Council. Born in Rockville Centre, New York, Anne holds a B.A. in English/Journalism from Marymount Manhattan College. A second-generation Irish- American, she traces her roots to counties Cavan and Mayo.